This blog reported in February on the limited public preview release of ADG, which Microsoft first announced it would develop last September. Proactive policy recommendations and automatic data classifications that allow users to take actions on data — such as retention and deletion — throughout the data’s lifecycle. 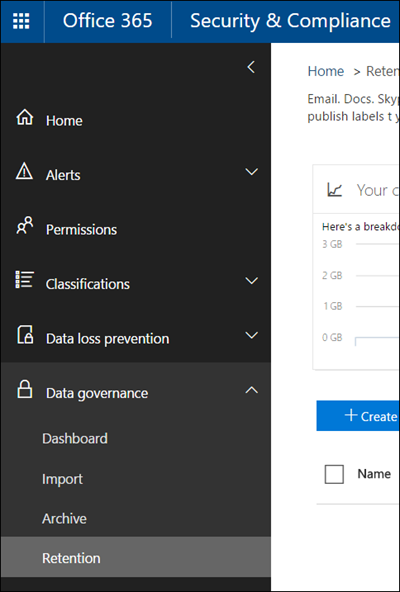 System default alerts to identify data governance risks, such as an unusual volume of file deletion, as well as the ability to create custom alerts by specifying alert matching conditions and threshold. 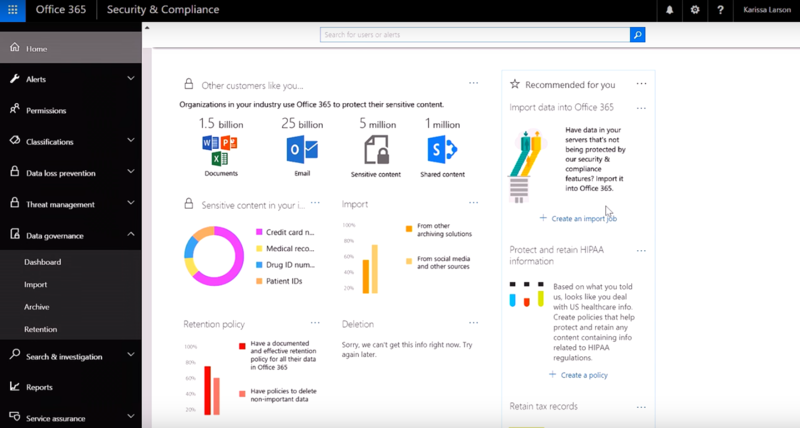 The ability to apply compliance controls to on-premises data by intelligently filtering and migrating that data to Office 365. It also provides the ability to migrate data into Office 365 from third-party sources such as social media, instant messaging and document collaboration services. A free 30-day trial of ADG is available by signing up for the Enterprise E5 trial, then going to the admin center, scrolling down to “security and compliance center,” and clicking on data governance. ADG makes data-retention recommendations based on factors such as industry and document type. Policies can be created from scratch or based upon recommendations using pre-configured templates. Policies can be customized with regard to where and how they are applied, how long data is to be retained, and other advanced options. The video below provides an overview of ADG.